On 13th April, a sunny Monday, we (PNLIT trustees) saw water entering Puttenahalli Lake from the rainwater diversion channel at the lake entrance near the Brigade Millennium arch. It was so little that we thought it to be the usual wash from the adjacent MLR Convention Centre. 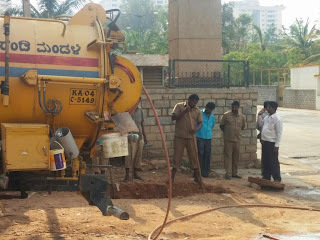 However, a couple of days later when we found it increasing in volume and forming a black stinking mass in front of the diversion channel at the lake bed, we immediately informed BWSSB and BBMP. 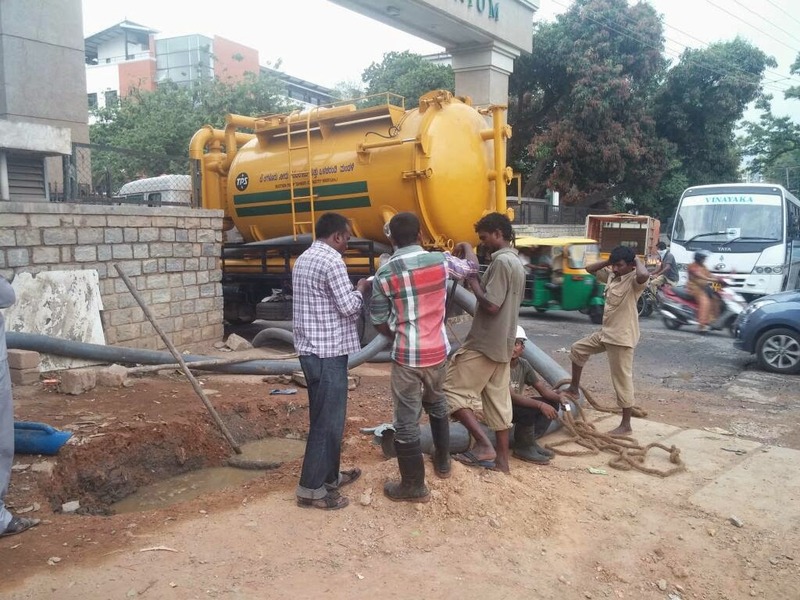 BWSSB’s Junior Engineer, Mr. Nagaraj came to inspect the spot. 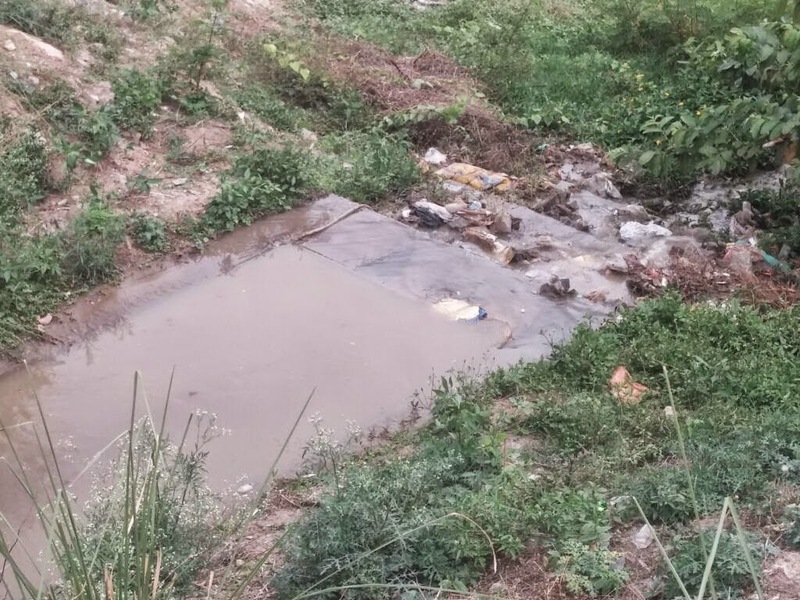 He said that the sewage drain connected to Brigade Millennium was blocked, because of which the sewage was getting diverted into the storm water drain. This is the way the system has been designed. He got a regular Jetting Machine to clear it. This was on 16th April, but it did not work for it turned out that silt or something in the drain was preventing the flow. 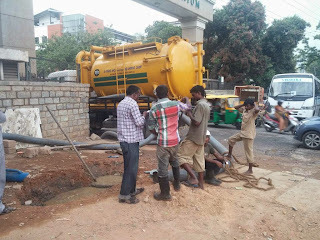 Then BWSSB sent a De-silting Machine but this did not work either. Karnataka Bandh on Saturday and Sunday held up the investigation and problem solving work. 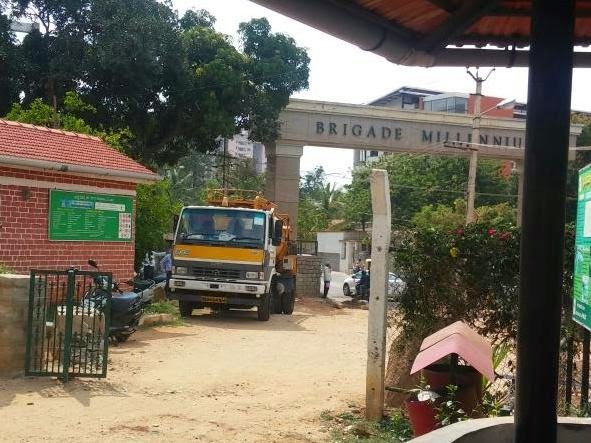 Yesterday, 22nd April, BWSSB engineers brought a heavy duty Jetting Machine from the sub division office. It was a really huge machine which hampered evening traffic and yet even this was unable to remove the blockage. 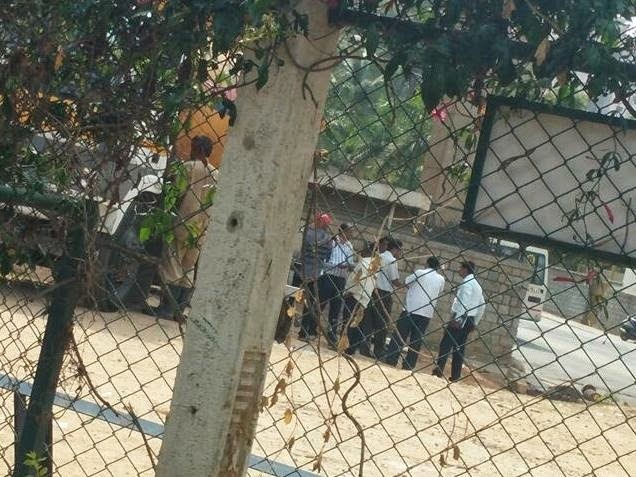 Today, many officials from BWSSB came to inspect the place, along with another of the large machines. 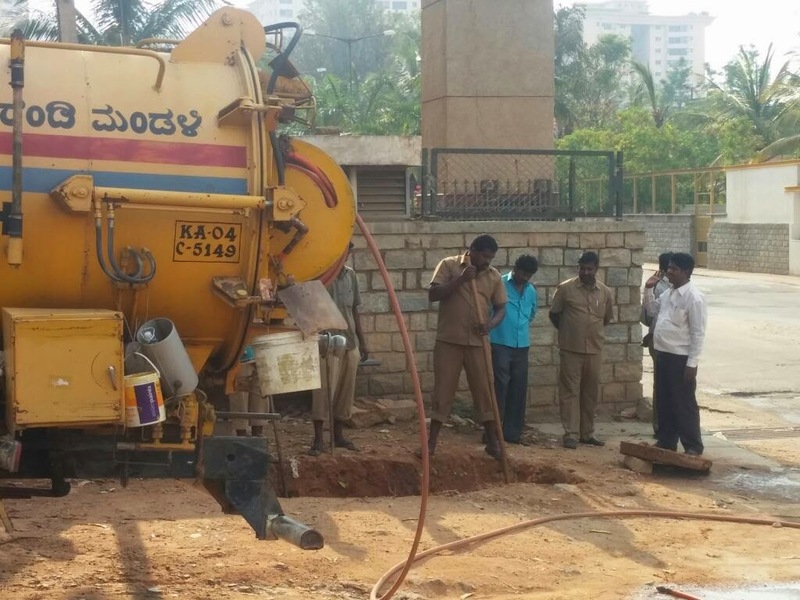 They found that the pipe is blocked with big stones and these machines that they’ve been bringing will not help resolve the situation.They will get a JCB tomorrow, to dig till about 8 feet to get access to the stones to remove them. The source of the stones will be ascertained. Then it is hoped that everything will be alright. Then they will construct a chamber. It is expected that this will take 2 days. We will continue to coordinate with BWSSB till the problem is resolved.